Yes. Rent To Own is not a rental program — you are transitioning to home ownership through a Rent to Own program. That means you will need a small down payment to qualify. But don’t worry, we have helped dozens of families just like yours lease to own their own homes for down payments as small as $5,000. That’s all it takes to start realizing your home ownership dreams! We also take trades! Do you take trades for the down payment? Yes. We can work with tax refunds, equity in other homes, bonuses, future settlements, retirement funds, RRSPs, etc. and we take personal property you may want to trade such as cars, boats, RV’s, motorcycles, trucks, etc. Yes. You need to show employment to qualify. We also help self-employed people. How long is your Rent to Own program? That depends on the individual but our clients usually lease for 1 to 3 years before qualifying for a mortgage, with most people needing 2 years. What can I do to own my home as soon as possible? We can customize our program to address your unique situation, regardless if it’s poor credit, a low down payment, or both if both of these problems are standing in the way of your home ownership. Our credit counseling and down payment generation plans are here to help you own as fast as possible. Is the price of the house fixed? Absolutely. We sell you the house at a fair price established in our agreement. Then, as the home appreciates in value, you reap the rewards! Why do I need to qualify for a new mortgage at the end of the term? You need to secure financing for the home at the end of the lease term, but we work with you through the whole process to prepare you for that. We even connect you with the mortgage specialist that will help you get the mortgage, and provide guidance in fixing any credit problems you have. What kinds of contracts do you offer? This is similar to most rental agreements. The major difference is that you aren’t throwing money away as a renter, you are building equity in your home! This is an agreement where you as the tenant/buyer have the right (but not the obligation!) 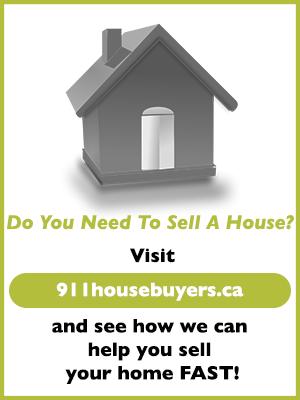 to buy the property within a specified time frame at an agreed upon price. We ensure that you get options credits every month that you make your payments on time. This is a purchase agreement where you as the tenant/buyer and we as the owner sign an agreement for the sale of the house. As long as you do not break the lease agreement then we agree to sell the property to you for the agreed upon price within a specific time frame (usually two years). The option credits will be fully credited (100%) to the down payment of the home when you exercise your option to buy the house. As you can see, our innovative Rent to Own Program obligates us to sell without obligating you to buy! What could be better! I have damaged credit. Can I still qualify? We’re here to tell you that YOU CAN BUY A HOME WITH DAMAGED CREDIT. In fact, it’s quite common. 911Homes can help you start repairing your credit right now! Don’t have much of a credit history at all? We can even help you establish your credit. Is my debt ratio too high? Just how much home can I afford? The answer to these questions may surprise you. The rule of thumb is that your house payment added to all your other monthly payments should not exceed 40% of the gross income (that’s income before tax) of you and your spouse. You should add only monthly expenses with fixed payments such as cars, furniture, credit cards, mortgages, student loans, etc to arrive at that 40%. The figure should not include items like insurance, clothing, food, utilities, entertainment and so forth. What if you can’t easily verify my income? If you think you can’t buy a home simply because you’re self-employed and/or you can’t show enough income, think again. Many of our satisfied customers thought the same thing before contacting us. Before they knew it, they found themselves living in the home of their dreams. So how do we do it? Well the fact is, there are several ways to verify income and many loans available that don’t require income verification at all, and nobody knows those ways and loans better than the experts at 911Homes. What else should I know about “ Rent to Own”? As an industry leader, 911Homes’ innovative home-buying solutions continue to evolve every day. That said, “Rent to Own” itself is not some new fad. It’s a completely legal, well-established real estate solution that offers absolutely no risk or obligation to you. Still have questions? 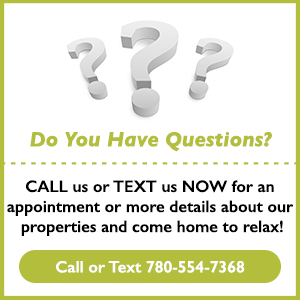 Contact our Rent to Own experts right now at 780-628-4554. Remember, whatever or whoever has kept you from buying a home in the past does not matter. We’re here to talk about your future—a future where you CAN own your very own home!